-Heat a large skillet over medium – high heat. Melt the butter and oil together. 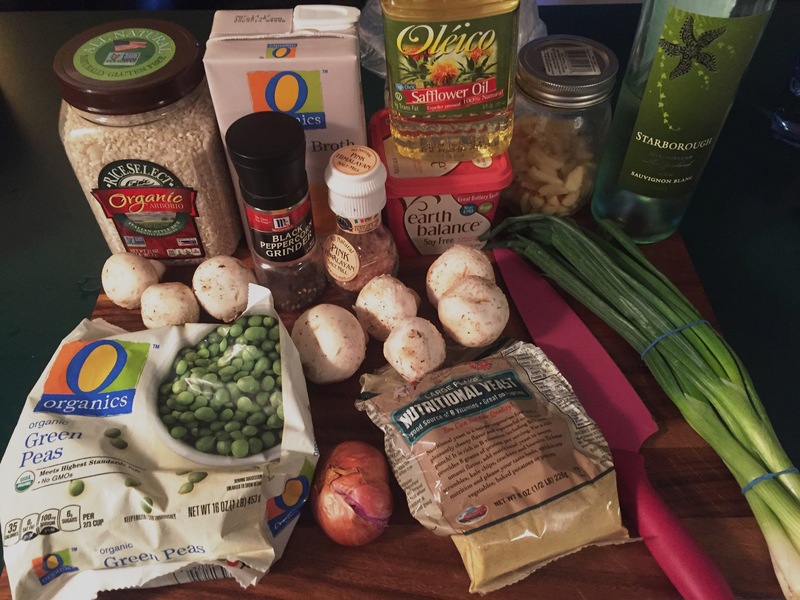 Add the mushrooms and shallots and cook for about 7 minutes, or until soft. 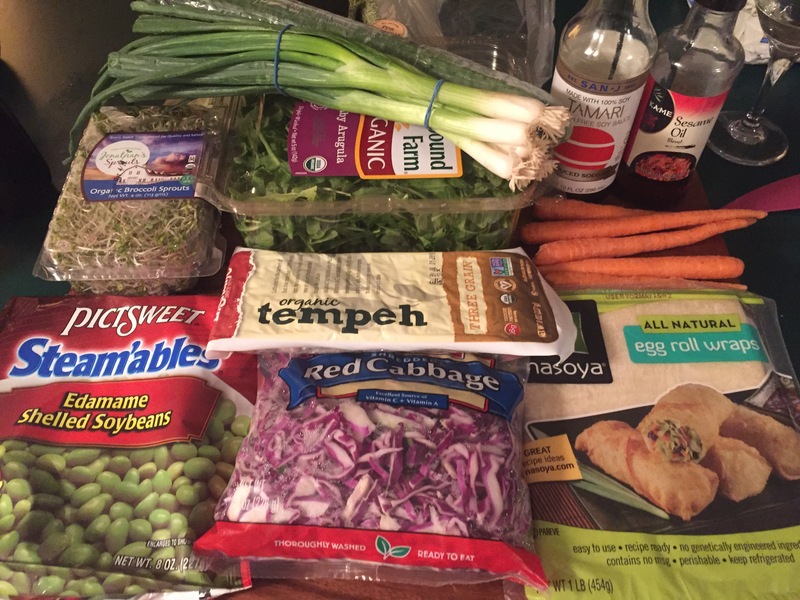 -I continued to cut up veggies until I used up all of the spring rolls! It was nice to have the extras in the fridge throughout the week to snack on! 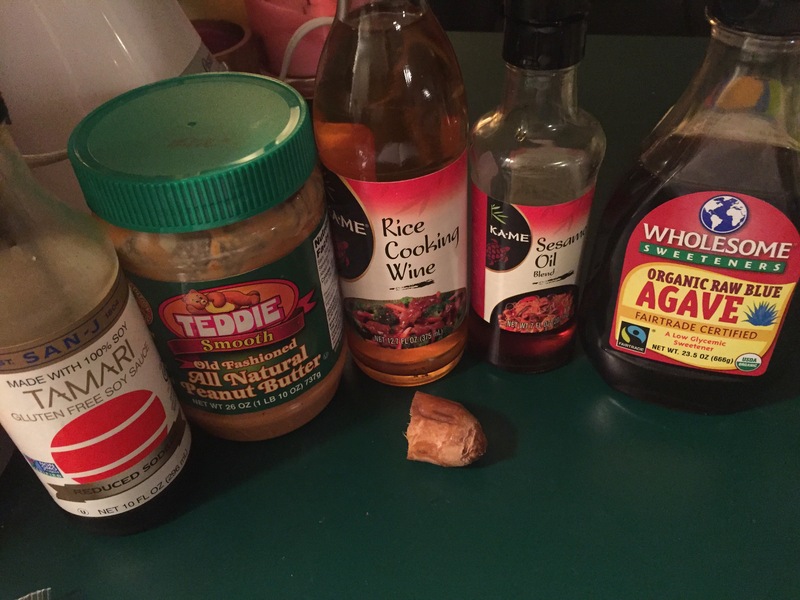 Posted in UncategorizedTagged BellinisToBlooms, Blog, Blogger, BlogPost, Cook, Dinner, GlutenFree, Homemade, MushroomPeaRisotto, Organic, PeanutSauce, Recipe, Risotto, SpicyPeanutSauce, SpringRolls, Vegan, VeganRisotto, VegetarianBookmark the permalink. 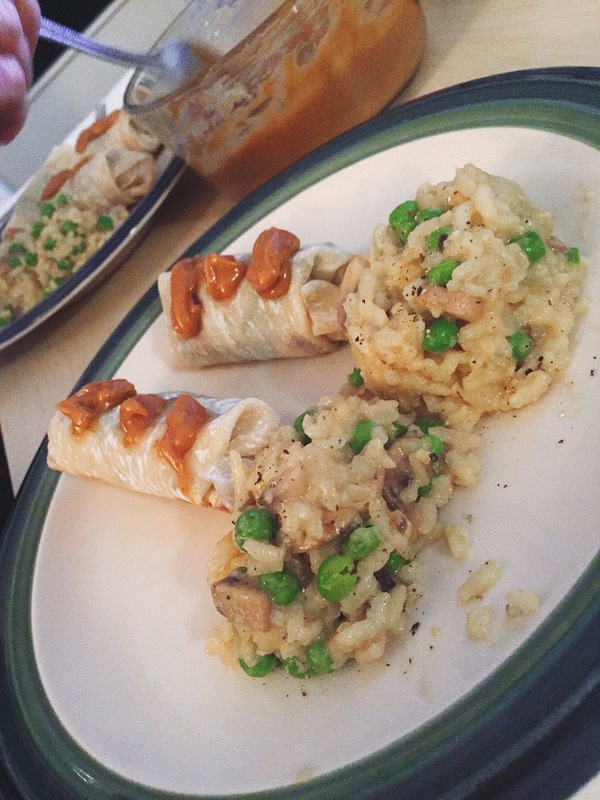 spicy peanut sauce has my heart ❤ Looks bomb Krista!